Uncut Rough Diamond Crystal No. 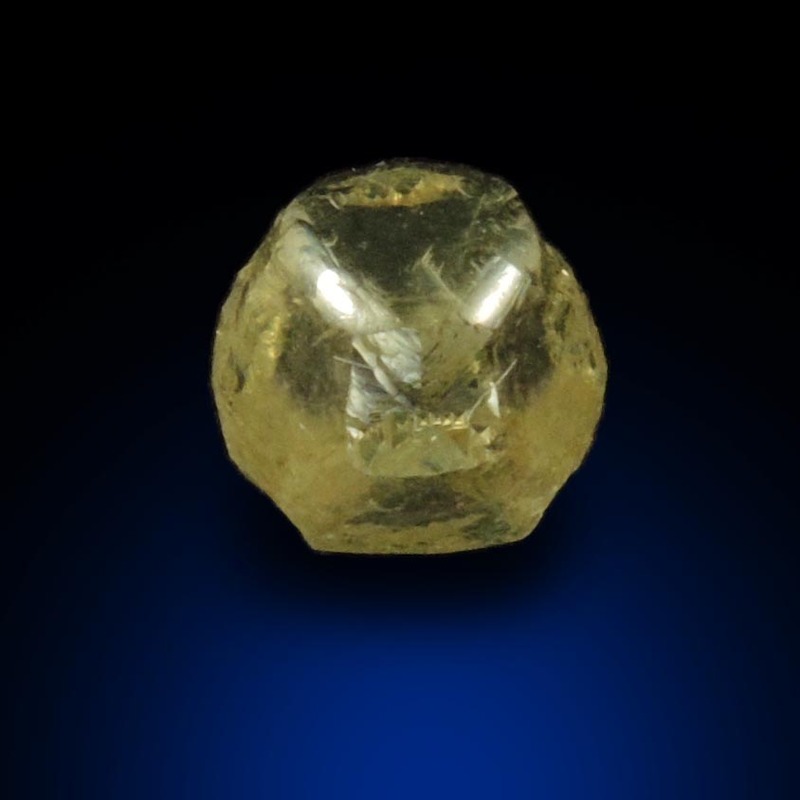 72559: Diamond (1.61 carat cuttable yellow-green cubo-octahedral uncut diamond) for sale from Jwaneng Mine, Naledi River Valley, Botswana. 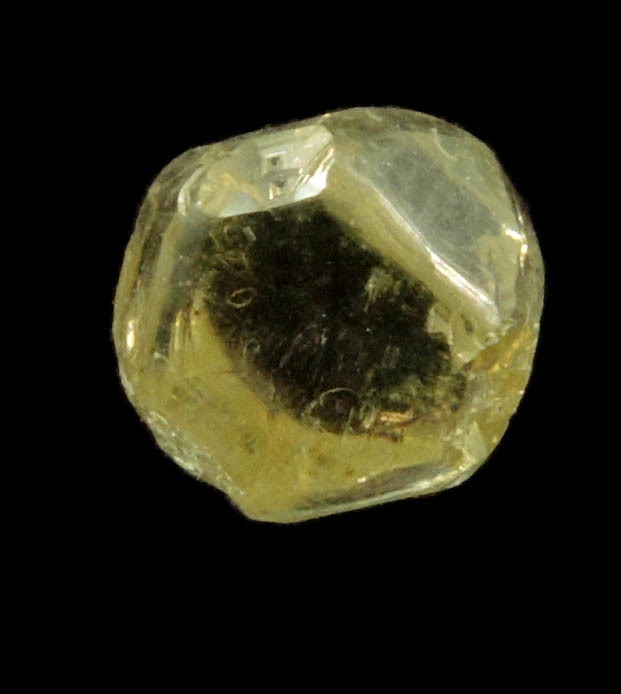 Diamond (1.61 carat cuttable yellow-green cubo-octahedral uncut diamond) for sale from Jwaneng Mine, Naledi River Valley, Botswana. 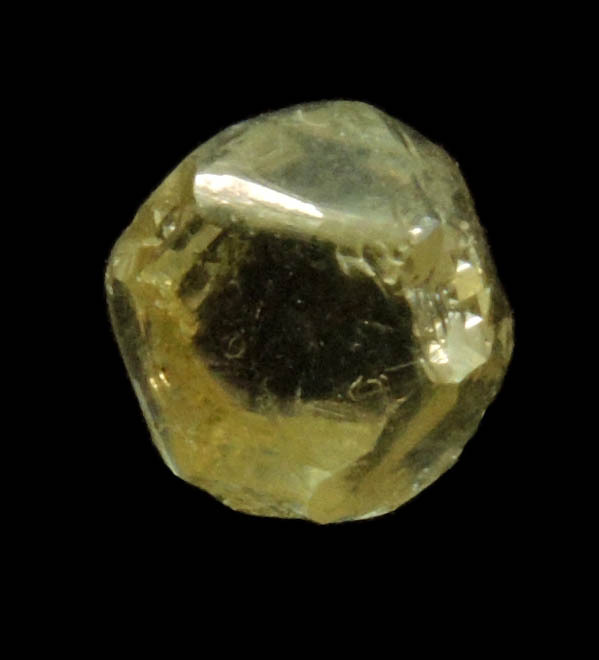 Mineral Species: Diamond (1.61 carat cuttable yellow-green cubo-octahedral uncut diamond). Description: Cuttable transparent gem-grade yellow-green natural uncut diamond with cubo-octahedral form dominated by octahedral faces with cubic corners. The diamond crystal is mostly flawless except a few very small red subsurface inclusions. No damage. Overall size of mineral specimen: 5.5x5.5x5 mm. Price: $1675 net (plus shipping).